Hi all. I am sure this is a topic which already has tons of threads but I would really like some fresh input. I am (very likely) coming to teach in South Korea starting in August. For health reasons more than anything, I trying to mostly maintain a vegan wholefood diet of fruits, vegetables, whole grains, beans, nuts and seeds and try to maintain lower levels of added oils and sugar. I am not a purist and I am not perfect about it. I probably do eat meat once every 6 weeks or so, but generally I like to stick to veganism. My question is how manageable is veganism in South Korea as compared to the US (where I am from) or other western countries? Maybe you could highlight experiences of shopping and cooking for yourself (which is always easier I guess) as well as dining out. I am also curious about how Koreans feel about veganism. I have been told already they find it odd and rather unacceptable. Is there a way you present it that would be deemed acceptable? I appreciate any and all insights in regards to living vegan in South Korea that you might have. P.S. I am not really looking for comments about the dietary necessity or harmlessness of consuming meat, eggs and milk products, even if you are well meaning. Thanks. I have been vegan in Korea for the last 15 months. Yes it is manageable, but wont be anywhere near as convenient as what you're used to in the US. You can easily adapt. There is a decent vegan community here and also some really great vegan restaurants in Seoul and other big cities. Also a few vegan youtubers that live in Korea that you could look into. All the best. PS join the Vegan Korea fb group. Also, bigger cities will probably have some kind of veggie restaurants. If you're in the middle of nowhere you'll have less options. Hi there! I've been vegan for over 7 years now, and I've been living in Seoul for almost a year. Being vegan in Seoul is TOTALLY manageable! In fact, in many ways, I find being vegan in Seoul easier than in the States. If you're not going to be living in Seoul, disregard my post because I have no idea what it's like to be vegan elsewhere -- sorry! 1. Be wary of eating out. While it's 100% possible, and there are even many restaurants that are completely vegan, you can't eat out just anywhere. Most vegan or advertised vegan-friendly restaurants are in Hongdae and Itaewon. However, there's more options than in those two places. Try to find mexican restaurants (always easy to veganize) or go for traditional Korean spots that serve bimimbap or kimbap. Even if something says it's vegetarian or vegetable something or other, it likely has fish paste or something in it. -When ordering kimbap, tell them you want veggie kimbap (yachae kimbap) and tell them to leave out ham, crab meat, mayo, and egg (Haem, masal, mayo, kyeran bbae, jusaeyo). To be safe, you can say "Yachae man," or only vegetables. Ordering this way, I've never starved when eating out. If they don't understand, learn the korean words for vegetarian or say you have allergies, also. 2. Pack your own lunch if you teach. Schools almost never have veggie options unless you want to eat only rice and fruit. 3. Buy produce at smaller markets. Produce can be expensive here, but at the smaller markets, it's totally manageable. 4. Buy specialty vegan items (e.g. hemp seed, peanut butter) at the bigger department stores, like Lotte. Oftentimes, they even have a large sale section that mostly consists of foreign goods that are sometimes vegan. 5. Know your options when you're desperate. If you're out and starving, there's always a few options at the local C.U. or other store. There's pre-packaged bimibap (like in those little ramen cups), bananas, sometimes Nature Valley bars, soymilk, and more. 6. If you don't already know how to read Korean, learn! At least learn to look for the little square of allergens on the back of foods. This usually lists allergens that also happen to not be vegan (meat, shellfish, milk, etc.) You can save lots of time and energy by honing in on this little box before you read through all of the ingredients to see if the product is veggie. 7. Use Coupang. There are lots of vegan options for fairly cheap on Coupang! I order my vegan protein, vitamins, etc. on there for pretty cheap. Plus, it ships super fast. It's all in Korean, so if you don't know Korean, you may need to have a friend help you set up your account and shipping the first order. After that, it's pretty straightforward. In many ways, I find being vegan in Seoul easier than in the States. How about mussels? Or jelly fish? Or sea urchins? Vegans do not eat any animals or the products they create. Fish, mussles, etc. are animals! I'm vegan living in Korea for 2.5 years, Vegan for almost 2 of them. Paige's post is really great but I totally disagree with point 4. These items are overpriced at bigger deparment stores. They are slightly cheaper at markets and smaller stores (surprisingly) but they are going to still be expensive unless you order them online. I recommend coupang for these items as well. 1. Start experimenting with local products. At the market there might be a lot of things you're not familiar with that you often haven't encountered in Korean restaurants even but are really delicious. Shopping at local markets gives you the best food and best price. It's WAYYY cheaper and fresher. My food from the market lasts at least twice as long as anything from a store and usually costs about 30-50% less depending on the product. Learn to cook the things you already enjoy. Tacos, pastas, etc. These things can easily be made with local ingredients (except a few spices) Once you get comfortable and have a selection of vegan food you know you like and can enjoy, you can start branching out and experimenting with more exotic things. If there is not bibimbap option I usually just eat banchan and rice. If its a proper korean restaurant (the type frequented by most schools for dinners) there should be at least 3 or 4 banchan that you can eat. You can also sometimes ask for other ones too. As long as you're in a big group that's earning them money, you could probably get away with ordering some unlisted banchan like tofu etc. I just reread and realized you aren't here yet. Remember that you're doing the right thing for everyone. Don't let others discourage you. This affects bothers some people more than others. The Koreans are likely not going to even understand it enough to give you a hard time about it. Remember that veganism is about so much more than your health! I agree with all of the above! And I agree Coupang is still the cheapest place to get these items. What I meant was that at place like Lotte, items like peanut butter (not a huge thing in for Koreans), tortillas, sriracha, etc., I've found that they're much cheaper than at smaller markets. However, that just might be for my specific area! The word y'all are looking for is pescatarian. I would be weary of living in smaller cities if I were you. I went to an area of Gangwha island. I went into a very small supermarket. They had oranges only but no bars made of nuts and etc. I am sure this was market was one of the few that had a limited selection of products but I would live in a bigger city to be safe if I were you. This was bumfuck nowhere. I am sure you will be fine per what the people on this thread said. I wanted to put a thought in your head. I once heard of a lady. She was a vegetarian of some sort. She didn't consume meat for 5 years. One day she was at a barbeque and decided to eat a cheeseburger out of the blue. Later she had to go to the hospital because she couldn't pass it. It had been so long that her body no longer had the ability to digest the cheeseburger. She should have slowly built her way up to eating cheeseburgers again. I just wanted to encourage you to eat a meat product of some sort every once in a blue moon in case there is an end of the world scenario or emergency wilderness survival scenario and you are forced to eat that can of potted meat or that Spam like product. veganism is not a viable long-term diet, period. If anyone asks just say you're a Buddhist. Seriously though it's easier than explaining any moral/health issues and they'll understand right away what your diet is. Lol ah, yes, thank you for guiding me via Butternutrition.com and a Daily Mail article. I'm sure this advice will suit me better than talking to doctors or nutritionists. I will now change my vegan diet after 7 years! kristee i just want to say there is only one type of vegan and vegetarians do not eat fish as they are animals. Totally glanced over the title and read it as vegetarianism. I assumed they meant vegetarian because they mentioned that they're not strict and still eat meat. There are different forms of vegetarian. I was Lacto-ovo for about 9 years. Meaning I still had eggs and milk products. People generally call themselves vegetarian when they mean pescetarian (similar to lacto-ovo while still eating fish). because all of the blogs by vegan 'experts' out there are so much better? On July 2 in Milan, Italy, a 14-month old baby was rushed to the hospital by his grandparents. Severely malnourished from being kept on a strict vegan diet by his parents, the baby was extremely underweight and suffering from various nutrient deficiencies, including a critical calcium deficiency, which doctors say exacerbated an underlying congenital heart condition. Now recovering from emergency heart surgery, the baby has been taken away from the parents. A children's court will decide whether the grandparents will be given full custody. 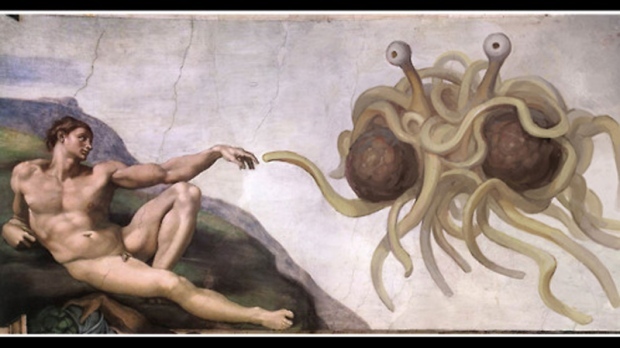 Which, while sounding very similar, is *not* the same as Pastafarianism. And good lord let me tell you: that workshop was just full of disappointment. Plants know when they are being eaten. Do vegans even care? Heart Disease in the United States. About 610,000 people die of heart disease in the United States every year–that's 1 in every 4 deaths. Heart disease is the leading cause of death for both men and women. completely disingenuous comment. an unhealthy diet contributes to heart disease, not an 'omni' diet. a well-balanced omnivorous diet is THE healthiest diet for humans. not a vegan diet. and an unbalanced, unsupplemented vegan diet can be as unhealthy or even more so than an omnivorous diet. I'm a super lazy cook here in Korea, so I order some meals from Sprout for work. http://www.nutritionmission.ca/ They deliver all over. I just told my school I'm allergic to dairy which made life a lot easier than trying to explain veganism. Good luck! Moderation is the key to... uh... not dropping dead at 50.